Shopper marketing agency Savvy launched its biggest ever ‘experiential activation’ this weekend, for Poundland at the Epsom Derby. 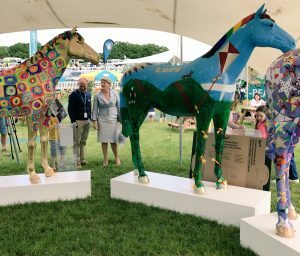 The retailer was sponsoring the Epsom Derby Hill and Savvy created a range of experiences for visitors. They were able to learn about the history of the famous race, take part in race-themed games and win prizes at the Poundland Stable, as well as claiming free souvenir photos at the Photo Finish. Live social feeds included Facebook Live and racegoers could interact using the hashtag #onthehill.